1 DULASC, Add. Ms. 515, ff. 33r-39r; TNA, E190/190/12, ff. 23r-25r; E190/194/2, ff. 65v -61v; E190/194/1, ff. 14r-v; E190/199/9. 2 Durham RO, D/Lo/F 390/15; DPRI/1/1685/T8/1; Sund. Lib., Corder 36, p. 87. 4 Burleigh & T; 1826 Wood; Sund. Lib., Corder 36, p. 87; 1st ed OS VIII/15; TWCMS, B8176, B8181, B8182; eye plan; Guildhall Lib., RE 7253/1 65602. 5 1737 B & T; TWAS DX882/1. Men of Mark in Olden Times (Sund., c. 1890), 4-10. 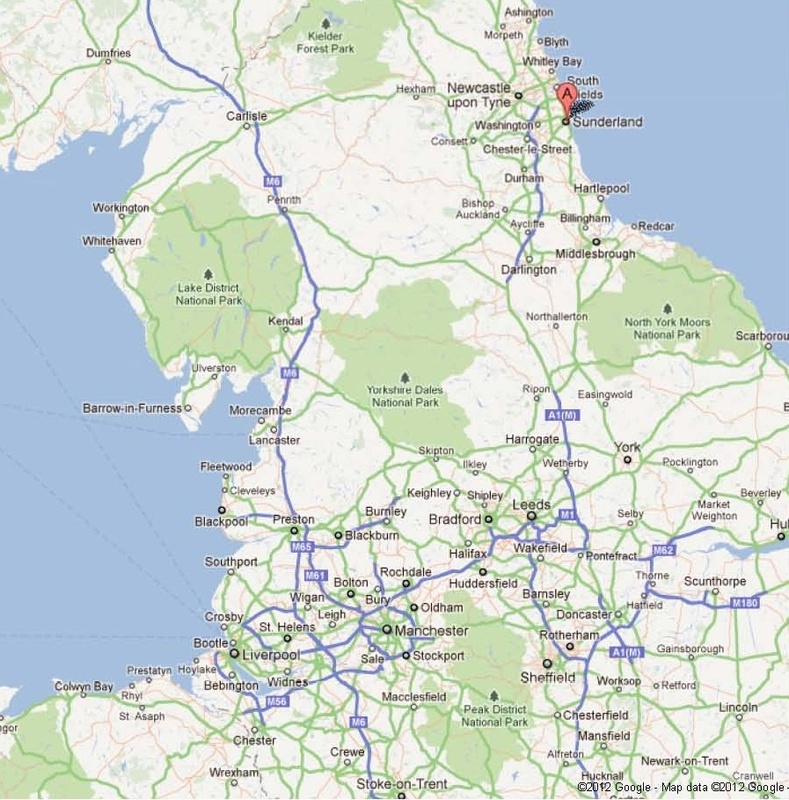 9 Institution of Mechanical Engineers, END/20/1/1-13; Garbutt pp. 409-11; Surtees Sund vol., 14; S. Smith, ‘Wire-Rope Making, Sund.’ Ind. Archaeo Soc for NE 7 (Nov/Dec 1968), 9; Roberton, Wearside at Work, 149-56; RTP, 29-30. 10 Surtees Sund vol., 14; TWAS, 569/136, patent 4669/1822; 569/138; Garbutt pp. 409-11; Rennison and James, John Grimshaw, 275-6; Milligan, 214. 11 TWAS, 569/135-8, /144-5, /149, /62; DF.PEM1/57; Histories of Famous Firms: Sunderland, British Bull. of Commerce (Sept. 1954), 9 (Sund. Lib., L942.81B); Sund. Echo, 22 Dec. 1892; Forestier-Walker, Wire Rope Industry, 32-5, 59-60. 12 Doncaster Archives Department, DY/BRI/30; Smith, ‘Wire-rope making, 9. 13 Histories of Famous Firms: Sunderland, British Bull. of Commerce (Sept. 1954), 10; Forestier-Walker, Wire Rope Industry, 118. 14 Doncaster Archives Department, DY/BRI/9; Oxon. RO, Kitto/V/1; W. Tyson, Rope: a History of the Hard Fibre Cordage Industry in the U.K. (1966), 84-5; Cordage, Canvas and Jute World (Apr. 1961), 21-4; RTP, 29; Histories of Famous Firms: Sunderland, British Bull. of Commerce (Sept. 1954), 10. 15 Forestier-Walker, Wire Rope Industry, 78-80; Cordage, Canvas and Jute World (Apr. 1961), 23-4. 16 K. Price, The Ropery Women of Sunderland in World War Two, North East Labour Hist. Bull., 24 (1990), 35-9. 17 Doncaster Archives Department, DY/BRI/17; Industrial Wearside (Sund. Echo, 1931); Histories of Famous Firms: Sunderland, British Bull. of Commerce (Sept. 1954), 12; M. Haggie, Haggie: Ropemakers of Tyne and Wear (unpub. ms., Sund. Lib., L929.2 HAG); Newc. And Gateshead Chamber of Commerce Jnl Supp. (1929), 103; Forestier-Walker, Wire Rope Industry, 91. 18 Doncaster Archives Department, DY/BRI/19; Forestier-Walker, Wire Rope Industry, 90; Haggie, Haggie: Ropemakers of Tyne and Wear, 55. 19 Doncaster Archives Department, DY/BRI/20. 20 Doncaster Archives Department, DY/BRI, administrative history. 21 Sund. Echo, 26 July 1968; Smith, ‘Wire-Rope Making, 9. 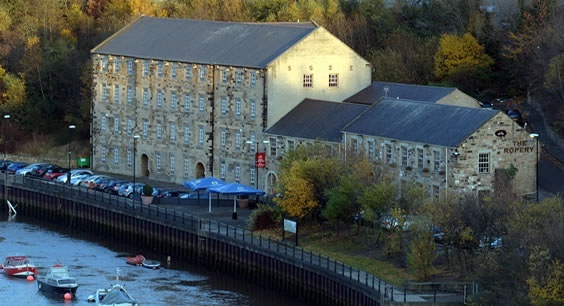 Built in 1797 by John Grimshaw and Rowland Webster, the original rope-works was designed to exploit the new technology of its day – a machine for spinning cordage which had been invented by a local man, Richard Fothergill. This invention had a revolutionary impact on rope haulage. 1. 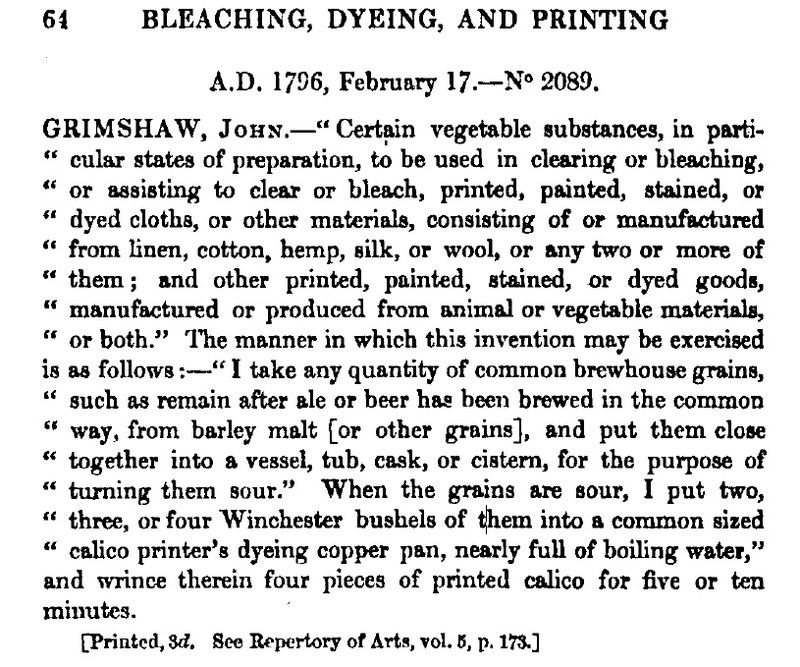 Patent 2089: Vegetable Substances to Bleach Cloths and Other Material, February 17, 1796. Author Unknown, 1859, Patents for Inventions  Abridgements of Specifications Relating to Bleaching, Dyeing, and Printing Calico and Other Fabrics and Yarns; Including the Manufacture of Rollers, Engraving, the Preparation of Drugs, and Other Processes: London, Printed By Order of the Commissioners of Patents. Printed by George E. Eyre and William Spottiswoode, Printers to the Queens Most Excellent Majexty, p. 64. 2. Patent 2335: Manufacture of Ropes and Cordage, August, 1799. 3. Patent 2651: Machinery for Laying Ropes, October 5, 1802. 4. Patent 4669: Stitching, Lacing or Manufacturing Flat Ropes, April 16, 1822. 5. Specification of a Patent Granted to John Grimshaw for an Improved Method of Making Flat Ropes, Bishopwearmouth, 1822 (reprinted 1826). Webster, Thomas, 1844, Reports and Notes of Cases on Letters Patents for Inventions: London, Thomas Blenkarn Law Bookseller, p. 85-95. Welcome! Structural Images of the North East is a comprehensive collection of images celebrating the structural heritage of North East England. Covering Northumberland, Tyne & Wear, Durham and Teesside there are photographs, slides, sketches, paintings, etchings and drawings showing structures great and small. The images date from around 1715 to 2004 and the majority of them have never been publicly available until now. From lampposts to lighthouses and collieries to castles our extensive collection depicts the region’s structural heritage in all its glory. 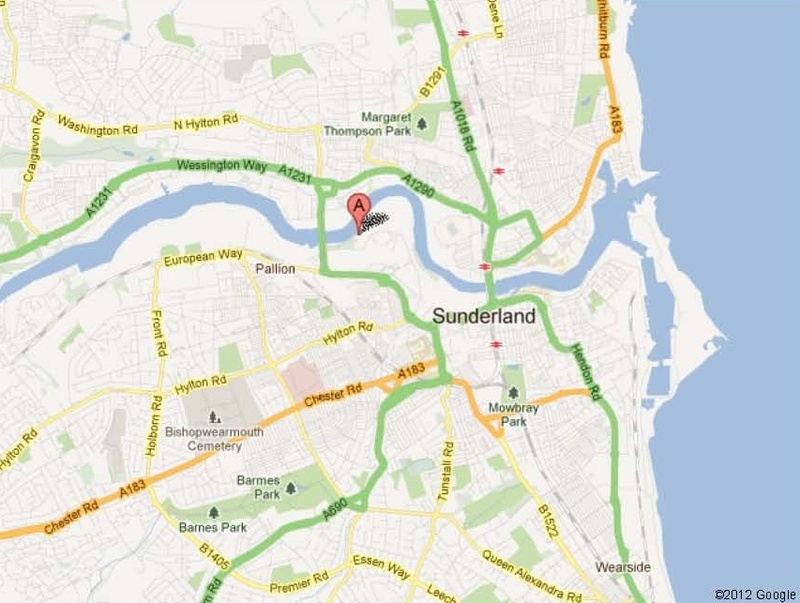 Borough of Sunderland. Websters Ropery (originally built in 1793). After a long and eventful history this, the worlds first patent ropeworks, became derelict and remained so for many years. 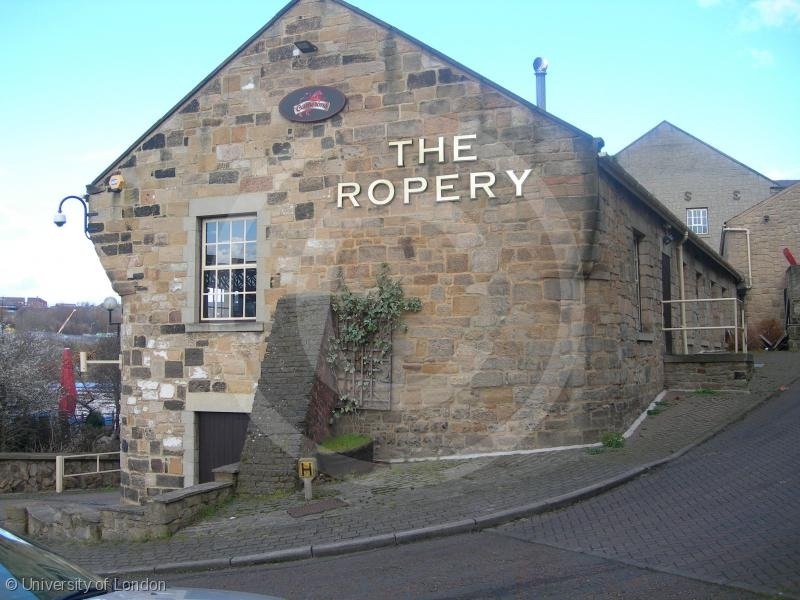 Restored between 1985 and 1987, the Ropery now provides commercial and leisure facilities. Urban Programme. 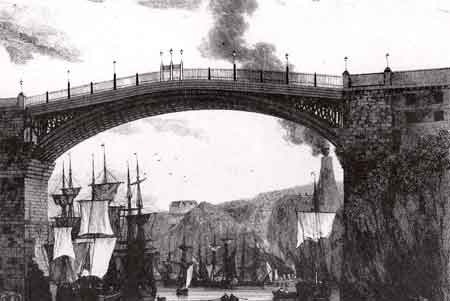 After the bridges opening Wilson was appointed surveyor, or resident engineer, retaining a salary of £100. 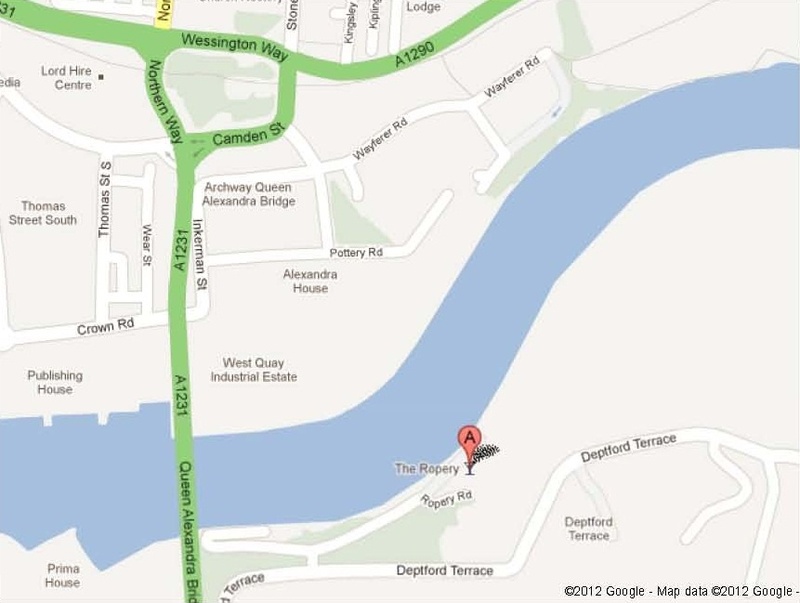 He lived in one of two large houses at the Bishopwearmouth end of the bridge – the other was that of the toll-keeper  from the garden of which visitors could view the structure below the deck. The evident success at Wearmouth brought many requests to Wilson and Burdon to build bridges elsewhere, including a replacement for London bridge. Wilson was responsible for a number of iron bridges in the first decade of the 19th century, including one at Staines which sank and cracked soon after opening, and another at Yarm which collapsed before it could be opened. Rumours abounded that the Wearmouth bridge too was in poor condition. At the time of construction, according to Bowdler, the main concern was to protect the iron from the corrosive effects of the sea air filled with saline particles. Coal varnish was applied during manufacture, and this would be renewed, or the structure painted, as necessary. In principle any part of the ironwork could be removed and replaced without damaging the bridge. The only worry Bowdler expressed about the new bridge was that it may be vulnerable to a lightning strike. It was neither lightning nor corrosion which endangered the bridge, however, but those same structural failings which plagued Wilsons other works. By 1804 a bulge on the eastern line of the arch was visible to the eye, to a degree which made the public fear for their safety. Michael Scarth, then treasurer of the commissioners, enlisted John Grimshaw (1763-1840), a Quaker and partner in the Deptford ropeworks, to investigate. Grimshaw quickly saw an obvious and immediate danger which vibration from horses and carriages was making worse  the side way equilibrium was upon the point of being completely lost, a circumstance which must have speedily brought the whole fabric into the river. Wilson, having failed to acknowledge the problem, had no idea how to solve it. By Grimshaws reckoning, the flood during construction had washed away the river bed to leave the arch 12-13 in. out of true, a discrepancy which had become almost 20 in. by 1804. About a fifth of the supporting tubes had broken or fallen into the river, some of them soon after the bridge was completed, for Wilson had replaced several of them. All that held the bridge together at the time of Grimshaws survey was its overarching timber frame.
. The mode of repair, with its success, has satisfied me as much as the bridge itself that under certain circumstances it is wise to substitute iron for stone in the construction of bridges. Grimshaw succeeded Scarth as treasurer in 1805, later becoming a coal-fitter and part owner of a colliery where he experimented on railway traction and gained renown as the strongest intellectual force at the back of the railway movement. He was a significant backer of the Stockton and Darlington railway, to which he also supplied haulage ropes. When in 1814 he was accused by one of the Wearmouth bridge commissioners that I had not straightened it anything he declared himself much mortified and set out to record in words and drawings his bold and arduous undertaking. His account was published in a pamphlet in 1818, at a time he sought remuneration from the commissioners for his work on the bridge, though it does not appear that he was ever paid. Despite his questionable ability as a structural engineer, Thomas Wilson retained his position until 1820, when he died at Bridge House. He had been a member of the Phoenix Lodge of Freemasons since 1790, serving as Worshipful Master, 1796-1803, 1809-12 and 1816, and was buried amidst great Masonic ceremonial. 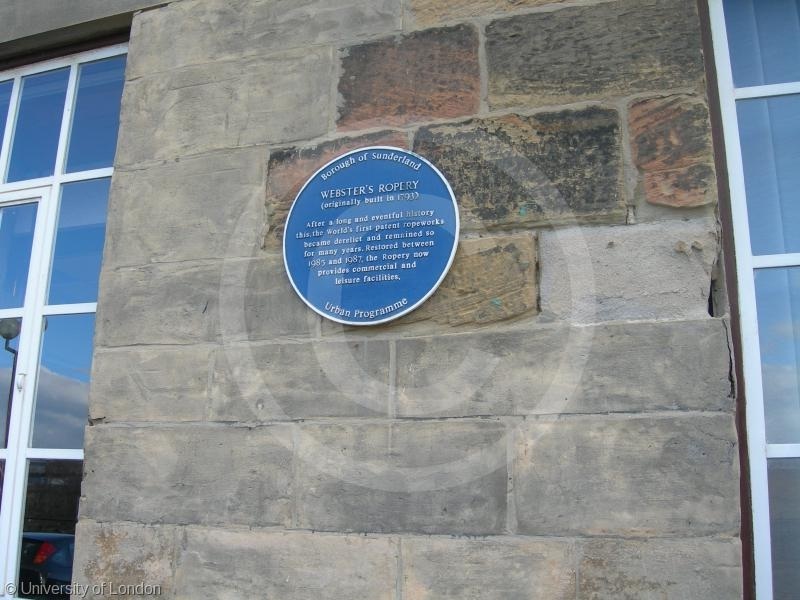 His successor as surveyor was one Nixon, until 1833 when Thomas Moore (1796-1869), a carpenter and later a noted Sunderland architect responsible for Monkwearmouth station, was appointed. After 1836, while Moore remained the local contact, Robert Stephenson was employed as consultant engineer. Moore checked the structure thoroughly, and devised a tar-based cement to protect the timbers. A total of £3,310 was spent on modifications and repairs in 1841. When Stephenson inspected in 1846, he found the bridge sound. However, overenthusiastic blasting of the limestone bluff on the south bank in 1853, for extensions to the nearby bottle works, caused significant damage. During repairs, attention focussed on how to strengthen the bridge to cope with greatly increased traffic, and a Newcastle architect, Archibald M. Dunn, suggested improvements which would reduce the gradient of the road. The commissioners, though, went with Stephensons advice for a major reconstruction, which in view of the engineers poor health was delegated to his assistant George Henry Phipps (1807-88). The necessary Act of Parliament passed in 1857 and work proceeded rapidly, helped by unusually good weather during the following winter. Robert Stephenson had been at the forefront of a new wave of iron bridges associated with railway developments from the 1830s, and his experience with a box-girder bridge at Gateshead led him to adopt the same system for the Wearmouth reconstruction. Phipps dismantled the 1796 bridge, leaving standing only the six original ribs, which were found to be as much as 16 in. out of line. Grimshaws remedial work had evidently not succeeded as well as he thought. Phipps widened and raised the abutments, adding three wrought-iron tubular arches between the ribs, and increasing the width of the road to 26 ft 6 in. and of the footpaths to 7 ft 6 in. The new design meant that the gradient on the north side fell to 1 in 47, and on the south to zero. Essentially the Stephenson bridge was a new structure, retaining elements of the old which were ornamental rather than useful, for they add nothing to the stability of the work. The construction was sufficiently robust that it could take trams, for which rails were laid in 1879, without further modification. in the spirit of what used to be, and what is still to be, the crowning glory of Wearmouth bridge  Nil Desperandum Auspice Deo. The only note of discord was a revival of the old argument about how much credit Thomas Paine deserved for designing the first bridge, in which matter Rowland Burdons son wrote convincingly in his fathers defence. The Stephenson bridge was showing signs of inadequacy by 1913, when a report was commissioned into its condition, followed by an Act of Parliament in 1915 authorising replacement. It was estimated that in 1875, before trams, traffic had amounted to 1,892 tons a day; with horse trams in 1899 the total was 7,480 tons; per 16-hour period in 1924, the weight of traffic measured 26,592 tons, of which 14,954 was trams. By then the abutments had deteriorated so severely that action was urgent. The new structure, three-pinned steel through an arch, with 375-ft. span, a rise of 105 ft., and 48ft. wide, was built around the old one, which was then dismantled, though Stephenson’s balustrading was used as far as possible. The engineer was G.L. Groves for Messrs Mott Hay & Anderson, the contractors Sir William Arrol & Co Ltd., and the cost £231,943. The official opening by the duke of York took place in October 1929. T&WA, IC/WBR/1, passim. James, Cast Iron Bridge, 29-31. James, Cast Iron Bridge, 32-3, 36-7; J.G. James, Thomas Wilsons cast-iron bridges, 1800-10, Trans. Newcomen Soc., 50 (1978), 55-72. James, Cast Iron Bridge, 32-3. James, Cast Iron Bridge, 55. BL, 8777 cc.2: J. Grimshaw, A Report of the Repairs given to WM Bridge in the Year 1805 (1818), 5-6; . R.W. Rennison & J.G. James, John Grimshaw (1763-1840) in Skempton, Chrimes et al (ed. ), Biographical Dictionary of Civil Engineers, i, 275-6. James, Cast Iron Bridge, 34-5. James, Cast Iron Bridge, 36. James, Cast Iron Bridge, 34; BL, 8777 cc.2, pp. 4-22; Rennison, Influence of William Fairbairn, 45. BL, 8777 cc.2, p. 24. Sir John Soanes Museum, Private Corres. III.B.2/5, 2 Feb. 1814; Bolton (ed. ), Portrait of Sir John Soane, 147. Rennison and James, John Grimshaw; James, Cast Iron Bridge, 34-5; Sir John Soanes Museum, Private Corres. III.B.2/6, 18 May 1814; Bolton (ed. ), Portrait of Sir John Soane, 202. Sir John Soanes Museum, Private Corres. III.B.2/31, 27 July[?] 1814. BL, 8777 cc.2, p. 3.
pp.23-6; James and Rennison, Thomas Wilson. James, Cast Iron Bridge, 41-2; T&WA, IC/WBR/1; Rennison, Influence of William Fairbairn, 45. Inst. Civil Eng., OCS/ 554 . Rennison, Influence of William Fairbairn, 45; James, Cast Iron Bridge, 41. Local Act, 20 & 21 Victoria I, c. xxxix; Sund. Herald, 11 Mar. 1859. Rennison, Influence of William Fairbairn, 37. Rennison, Influence of William Fairbairn, 45; G.H. Phipps, Lectures on Practical Engineering (1874), 6-8; James, Cast Iron Bridge, 41-2. Sund. Herald, 11 Mar. 1859. James, Cast Iron Bridge, 42-3. Sund. Herald, 11 Mar. 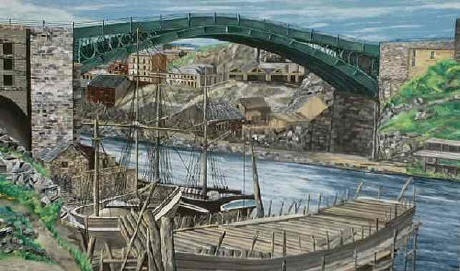 1859; James, Cast Iron Bridge, 41-2. J. Burdon, Letter to the Wearmouth Bridge Committee (1859); Inst. Civil Eng., Sunderland bridge folder (material collected by J.G. James). Sunderland Lib., Scrapbook 32; Local, Personal and Private Acts, 5 & 6 George V, Sunderland Corporation (Wearmouth Bridge) Act, c. xlvii. James, Cast Iron Bridge, 42-3; G.L. Groves, The new Wearmouth bridge, Sunderland, Proc. Inst. Civil Eng., 230 (1930), 144-66; Engineering 8 Feb 1929, 156-7; Sunderland Lib., Scrapbook 32. It was the second iron bridge built after the famous span at Ironbridge, but was over twice as long with a nominal span of 240 feet, and only three-quarters the weight. Indeed, at the time of building, it was the biggest single span bridge in the world (72 m), matching the collapsed Trezzo Bridge. It opened to traffic on 9 August 1796, having cost a total of about £28,000. Author Unknown, 1843, History of the Dredging Machine (from Part I of Weales Quarterly Papers on Engineering)” in J.C. Robertson, Editor, The Mechanics Magazine, Museum, Register, Journal, and Gazette, July 1st  December 30th, 1843: v. 33, p. 308-309. In the year 1796, Mr. Grimshaw of Sunderland applied to Messrs. Boulton and Watt for a steam engine to work a dredging machine, for the purpose of cleansing the harbour of Sunderland; the result was, the erection, by that firm, of a four-horse engine in a flat-bottom vessel, 60 feet in length, 20 feet in width, and 6 feet in depth, 4 feet in draught; the engine and machinery weighed 23 tons, and was calculate to work four spoon dredges, each one containing one ton of soil, to the height of 10 feet per minute. 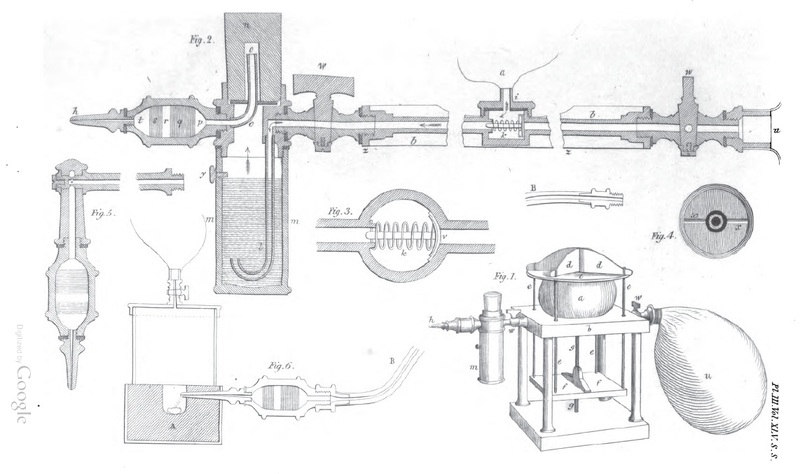 This machine was seen by the present Mr. Watt, about the year 1797, and the experiments on its capabilities were made by the late Mr. Southern, whose able assistance and services Messrs. Boulton and Watt were always ready to acknowledge. The following is a copy of Messr. Boulton and Watt’s memorandum book, dated 17th June, 1796. Mr. Pickernell asked for the following information for a dredging machine for Sunderland Harbor. An engine is wanted to work the spoons which are at present worked by men, for cleansing the harbour; these spoons are in form of a truncated cone, the narrow end of which is closed, and to the other, or open end is fixed a spade-bit; these spoons are made of a hide of leather, having an iron rim. The engine is to be fixed in a boat 20 or 22 feet wide, 60 feet long, and depth at pleasure; is to work four rollers, each for a spoon. It is clear, therefore, that Messrs. Boulton and Watt are entitled to the first claim of having applied the steam-engine to dredging. In the year 1802, the late Mr. Rennie, in his Report to the Hull Dock Company on the best mode of improving’ the Docks, proposed applying the six-horse engine, then employed for driving the piles of the coffer-dam of the entrance,* to the old dredging machine of Grimshaw. 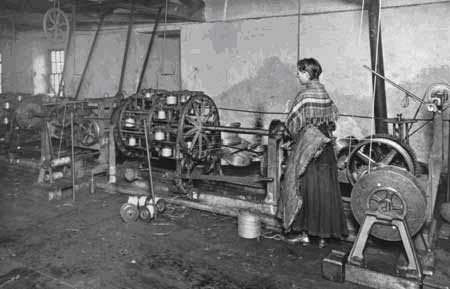 The machine, which was made by a Dutch millwright, and the only one in England, consisted of an endless chain, to which eleven wooden buckets, fastened and edged with iron, were attached, and revolved over rollers placed at the upper and lower extremities of a wooden frame, or ladder, the upper roller being worked by wheels which communicated with a horse wheel. The machinery was fixed in a barge 61 feet 6 inches in length, and 22 feet 6 inches in width, and draught of water 4 feet; it worked in a depth of 14 feet until the year 1814, when various alterations were made in it under the direction of the late Mr. Rennie, who caused the six.horse engine to be erected in it in the year 1804, – after which it raised from 20,000 to 23,000 tons of mud per annum, at a cost of about three pence per cubic yard, from a depth of 22 feet. This machine was replaced by a new and more powerful one in the year 1807. *The piles (600 in number) for the cofferdam of the Wapping entrance of the London Docks, constructed by Mr. Rennie, were driven by one of Boulton and Watts eight-horse engines, in the year 1801.